It’s one of those things that seems so obvious after the fact. But when you’re in the thick of it, it can be hard to see. Physicians at Baptist Health felt they didn’t have a voice in the decision-making process, which resulted in mounting frustrations. The solution? To create governance councils that help educate users about product functionality, as well as how customization requests can impact other areas. The result? An increased understanding of the need for communication, and why some decisions can’t move forward, says Tricia Julian. 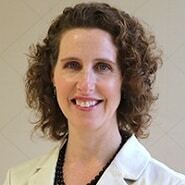 In this interview, she talks about the organization’s aggressive strategy to move to an integrated system, how that initiative has enabled Baptist to build “key partnerships between operations and IT,” and how her team is navigating the tricky balance between customization and optimization. Julian also reflects on her first year as CIO, and how her previous experienced helped prepare her for the role. There was some frustration from the physician community about not being at the table to understand what was going on, and not having a voice in selecting the vendor. I had an obligation to be sure the project plan and the integrated testing that was necessary before going live on Epic were accomplished on time, so that we could remain on schedule with the go-live dates we had committed to, and remain within our budget. We brought subject matter experts from each of the care disciplines to the table so that Epic could describe the options, and those who would be relying on the system for patient care could weigh in to make that decision. There was really no IT presence at those meetings — we would hear from those operational users about how it should be designed, and then we designed to those decisions. It’s very beneficial today to have a structure where physicians and operational leaders are engaged to understand the need that exists — or quite honestly, are the ones who present the need, seek input from their colleagues, reach consensus about what the decision is going to be, and then carry that message back to their colleagues. Gamble: Hi Tricia, thank you so much for taking some time to speak with us. Julian: You’re welcome. I’m happy to be here. Gamble: Let’s start by getting some information about Baptist Health System — what you have in terms of hospitals, other care offerings, and where you’re located. Julian: Baptist Health is an 8-hospital system spanning across Kentucky and Indiana. We also have employed physician groups throughout both states. Our care continuum is everything from primary care in a physician office setting to acute inpatient needs to home care needs and long-term care. Gamble: I imagine it’s a big geographic range you cover. Julian: It is. We really do traverse from the eastern end of the state through the western end of Kentucky. Right now we’re in Indiana, just across the river from our Louisville market. Gamble: In terms of the EHR environment, you have Epic in the hospitals — what about the ambulatory setting? Julian: Our journey with Epic started in physician setting with some pilot practices back in October of 2015. Starting in January of 2016, we rolled it out to physician practices in our Kentuckiana region, which includes Louisville and La Grange, Kentucky. Those physician practices went live in January and February, and then in March we brought the two hospitals in Louisville and La Grange live. Then we started toward the east region of Kentucky and did the physician practices in Lexington and Corbin in April and May. In June of 2016, Lexington and Corbin hospitals went live, and in September of 2016 we started moving toward the western end of our state and brought the Madisonville and Paducah physician practices live. Our hospital in Paducah Hospital went live in September, then we rounded out our journey launching the last two hospitals — Madisonville and Richmond — in January of 2017. We’re live on Epic at all seven of our eight hospitals and all of the physician practices in our Kentucky market. Baptist Health Floyd was acquired during the time of our initial implementation phase, so that hospital will come live on the integrated IT platform, as well as all the applications that run in parallel with Epic, in 2019. Gamble: And you’ve been with the organization through most of this time? Julian: Correct. I actually joined the organization seven years ago. Prior to my arrival, Baptist Health had really taken on the strategy of employing physicians, and so they were onboarding a lot of physician practices that had been independent. At the time, we did not have an electronic health record system in the ambulatory setting for those physician practices. And so in my first role, I was charged with implementing Allscripts in the physician office setting; I hired at IT department specifically to bring the Allscripts EHR to those physician practices. Gamble: And how long ago was that? Julian: I joined in 2011, and we went live in 2012. Meaningful Use was a really big stimulus to that activity since, at that point, it was still incentive-based. But in the not-too-distant future, it was going to shift from incentive to penalty, so they that knew moving to an electronic health platform was necessary. Gamble: And it wasn’t too long before Baptist started talking about moving to Epic? Julian: Right, let me give you some context. What happened was we had an electronic health record in the hospital, which was the McKesson suite of products. When Allscripts was live in the physician practices, we spent a lot of 2012 and 2013 trying to integrate that care continuum, from the physician office setting to inpatient setting and back to the physician office setting. There wasn’t the interoperability available to support that care continuum for our physicians — that’s what started a search process to determine a vendor partner who could meet our need for that interoperability. The selection process started in 2014 and led to the choice to move to Epic. Gamble: Having rolled out Allscripts to these physician practices not too long ago, then having to migrate to a different EHR — was that a difficult sell to the physicians and those working in the practices who had already made a major transition? Julian: Yes. The transition to Allscripts, first and foremost, was very significant. It’s so disruptive. Many of the practices at that point were working still with paper records, which wasn’t uncommon, so we knew there would be a transition for the first time from paper to electronic. That was a massive change, and there wasn’t a physician group formed to decide what the EHR would be, which I learned after arriving here. So there was some frustration from the physician community about not being at the table to understand what was going on, and not having a voice in selecting the vendor. I have to say, I admire the work and the energy the physicians did put into making the best of the adoption process, even though they were frustrated by not having a voice. When it came time to switch from Allscripts to Epic, the challenge of adopting a new technology was not nearly as significant as it was to go from paper to Allscripts. Certainly there are differences in the way Allscripts and Epic function, and in some regards, there are things that physicians liked better about how Allscripts approached it as compared to Epic, while in other circumstances they preferred what Epic offered. My sense though, in talking with physicians, is that they definitely appreciate having all of patient’s information at their fingertips in Epic, no matter where the care venue was at Baptist Health. Gamble: Right around the time the process started to select an integrated EHR, it looks like your own role with Baptist changed. Was that a reflection of what the organization was driving toward in terms of integration? Julian: Right. 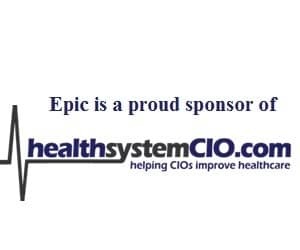 When the choice was made to go with Epic, I was approached by the CIO and asked to consider serving as Executive Director of Integrated EHR Solutions. That meant I was responsible for forming the IT teams that were needed to build out Epic, as well as the third-party applications that would go in parallel with the implementation. There was another executive director who managed those teams for the third-party, non-Epic applications, but I had an obligation to be sure the project plan and the integrated testing that was necessary before going live on Epic were accomplished on time, so that we could remain on schedule with the go-live dates we had committed to, and remain within our budget. Gamble: You mentioned before that there had been some frustration in the past from physicians. Is that something you took into serious consideration? Julian: Yes, we were deliberate. In fact, when we were rolling out Allscripts, we as an organization didn’t have a chief medical officer who had responsibility across the system for the employed physicians. We didn’t have a centralized structure in that way. And in fact, when we were going live with Epic, our CIO also served as CMIO, and he built a physician governance structure from the onset. That way, not only would we have physicians in the selection process, but when it came time to build out Epic, we were very intentional — not only with the physician community, but all the communities that were going to rely on Epic for patient care. When it came time to make build decisions and validate how we were going to configure Epic, we brought subject matter experts from each of the care disciplines to the table so that Epic could describe the options that would be available, and those who would be relying on the system for patient care could weigh in to make that decision. There was really no IT presence at those meetings — we would hear from those operational users about how it should be designed, and then we designed to those decisions. Gamble: I’m sure it made a significant difference having that type of involvement. Julian: It did. With that said, there were still individuals who had not taken part in some of those sessions, so when the product rolled out, they would pause to ask questions about why it was designed this way and who made those decisions. Even though we sought to communicate throughout the project that we have governance structures and there was an open invitation for physicians to participate, we still felt it was important to have that dialogue and answer those questions as physicians were going live, and pose them so that they could at least understand how it was constructed and where input was gathered from. Gamble: And that can be challenging because no two physicians are alike in how they want to participate and how much they want to be involved. Julian: It can. But I applaud the many physicians who have stepped up. When we were launching Epic, we did not have service lines stood up whereby you would have physicians representatives and operational leaders come together to really think about workflows. Take, for example, cardiology. As we think about the cardiology service line and tools we might need to support care in that venue, it’s very beneficial today to have a structure where physicians and operational leaders are engaged to understand the need that exists — or quite honestly, are the ones who present the need, seek to gain input from their colleagues, bring decisions to that service line, reach consensus about what the decision is going to be, and then carry that message back from the service line to their colleagues. That’s a new structure and a new process for us, and it is really helping us move ahead in significant ways with physician voice and administrative or operational voice in forming decisions in work flows and tools.